Hang on tight, got another over achiever to talk about that juggles more than one shop to accomodate all the craft making madness that happens in their house. Eric and Larissa are a dynamic crafting duo for Reef Botanicals and Fabric of My Mind. At Reef Botanicals this is where Eric and Larissa sell their handcrafted artisan pamper yourself products. I added the artisan, because I think most of it looks like art. I also added pamper yourself products because all the goodies you'll find here are all that you'll need for that sweet bath you keep telling yourself you'll treat yourself too. One thing sticks out about their products and that all of it from the base to the fragrance is all natural ingredients. So natural that most of the products are suitable to vegans. Inside Reef Botanicals you'll find soap, bath salts, candles, and even a men's line of bath products. 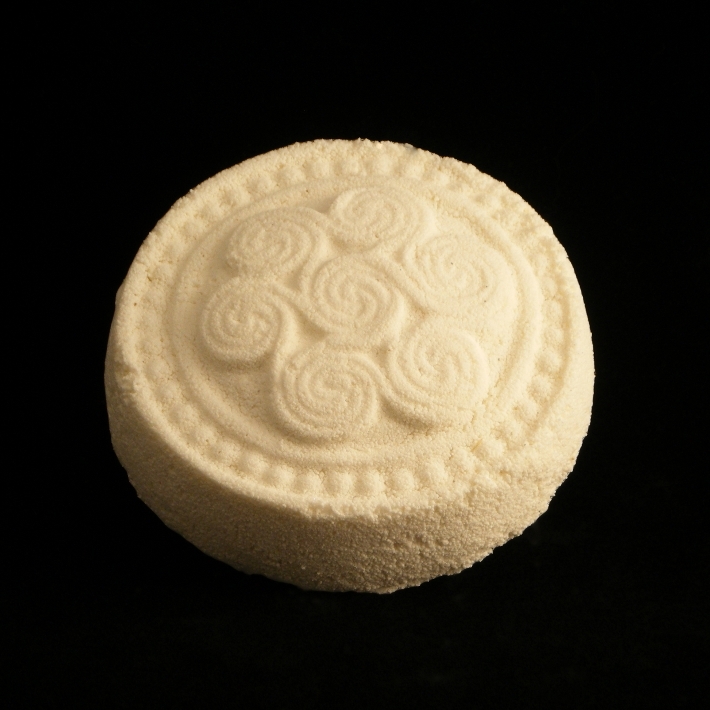 The Serenity Fizzy Bath Bomb is so pretty. I don't think I'd use it because it's just too pretty. Now because I have lip balm everywhere, I just had to show off the Orange You Glad I am Your Honey Lip Balm. Great Valentine's Day gift, right? Want to know more about Reef Botanicals? Follow them on Facebook, Twitter, and keep up with them on their blog. Switching gears we'll now visit Fabric of My Mind. This is definitely a shop that weaves the many different crafts that occur outside of the powder room. Here you'll find handmade accessories, photography, toys, and even patterns and tutorials. Wear glasses when you're on the computer? 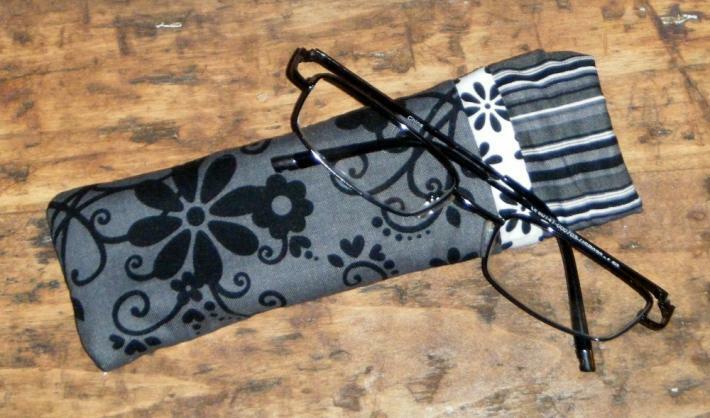 Keep them protected from all that desk clutter with this floral eyeglass case. I love to color. It's such an ageless activity. 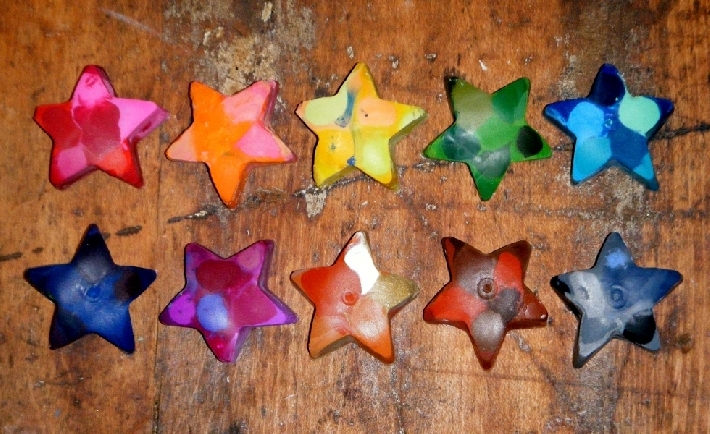 I'd love to make the other kids jealous with these mini star crayons! Hop on over to Fabric of My Mind and see what goodies you can find to make the other kids jealous of you. Thank you Marian. They're a neat couple. lovely items from a lovely couple. Thanks for stopping by Debbi! Thank you Debbie for commenting! You picked some of my favorites! Thanks so much! You're so welcome. You have good taste! haha.